Want to surprise your love one with a really special gift which could treasure for a lifetime. Make bollywood poster online from Bollywood posters studio. Contact no. +919022034923. Our email : bollywoodpostersstudio@gmail.com . 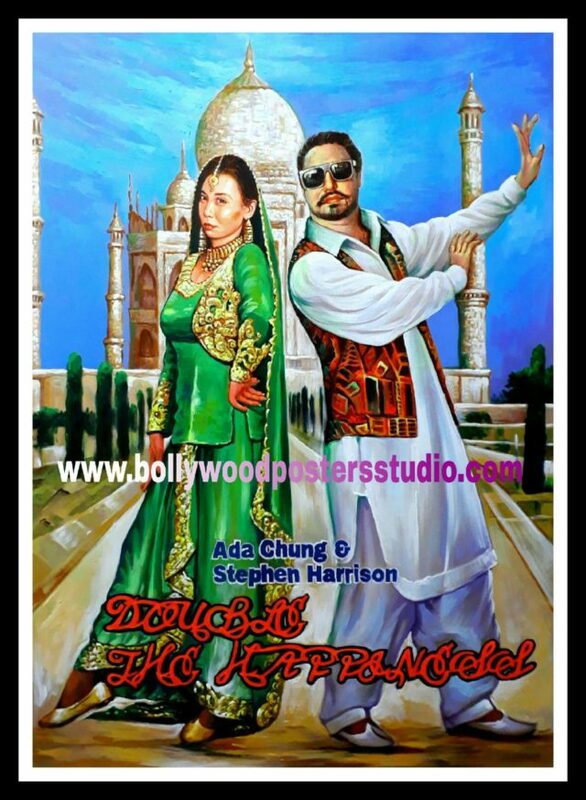 We will commissioned a hand painted custom Bollywood posters on canvas featuring you and yours partner as the stars of their very own movie. You had to just send your hd photos to us through email. Bollywood posters studio’s Custom made bollywood posters brings back to life the age-old practice of hand painting Bollywood movie posters on canvas.The only difference is that instead of painting movie stars faces, the artists now paint the faces of our clients. Bollywood posters studio’s Custom made bollywood posters from photos on canvas come with a lifetime guarantee on colors. Custom Bollywood posters is an excellent way for couples to immortalize their love story on canvas. Once painted, the poster becomes a lifelong keepsake.